7.7" x 7.7" stitched on 14 count. 6.0" x 6.0" stitched on 18 count. 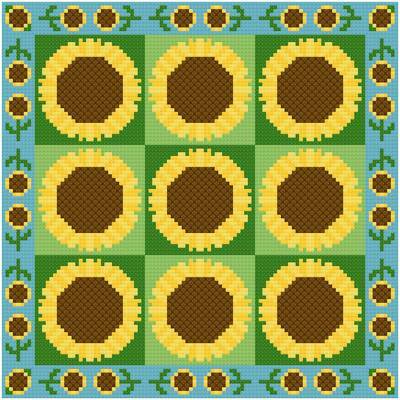 Sunflowers cross stitch pattern... 9 squares each show a sunflower on a green background. The border shows sunflowers all around. Whole stitches. Could be used as a quilt block with or without the border.